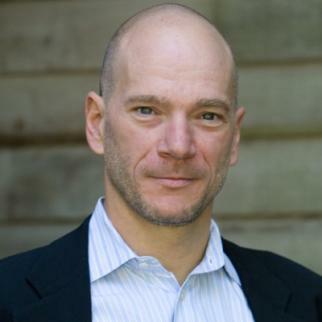 Andrew McAfee studies the ways that information technology (IT) affects businesses and business as a whole. His research investigates how IT changes the way companies perform, organize themselves, and compete. He and Erik Brynjolfsson are co-authors of the ebook Race Against The Machine. Weʼve stressed that computers are rapidly encroaching into areas that used to be the domain of people only, like complex communication and advanced pattern recognition. And weʼve shown how this encroachment can cause companies to use more computers and fewer people in a growing set of tasks. As we head deeper into the second half of the chessboard — into the period where continuing exponential increases in computing power yield astonishing results — we expect that economic disruptions will only grow as well. But we clearly are not pessimists about technology and its impacts. In medicine, law, finance, retailing, manufacturing, and even scientific discovery, the key to winning the race is not to compete against machines but to compete with machines. … Fortunately, humans are strongest exactly where computers are weak, creating a potentially beautiful partnership. So … we want to focus on recommendations in two areas: improving the rate and quality of organizational innovation, and increasing human capital — ensuring that people have the skills they need to participate in todayʼs economy, and tomorrowʼs. Making progress in these two areas will be the best way to allow human workers and institutions to race with machines, not against them.